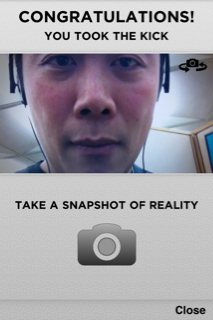 The Inception app is an augmented reality game of discovery. By performing some sort of action, you unlock dream levels that, when listened through headphones, dynamically mixes the soundtrack of the movie with sounds around you. This tutorial instructs on how to unlock "The Kick" achievement. If you want to figure out the game on your own stop reading now as I am providing spoilers on to how to unlock "the Kick" secret feature in the iPhone/iPod Touch app. For maximum benefit it's recommended that you associate Inception with your Twitter and/or Facebook account to document the fact that you discovered the Kick. Induce a regular dream such as the Still Dream or the Sleep Dream. I did this with the Sleep Dream. It cannot be in infinity mode. This can apparently be done in infinity mode too as tested in the Reward Dream. The Kick may actually work with any dream state as I've heard it worked with the Action Dream too. You must sustain the regular dream for about 5 minutes after which time the screen which normally slowly pulses red, starts to flash rapidly. Musical horns will start to fade in and sound like a train is coming and suddenly it'll be quiet. As soon as it becomes quiet, the Infinity sign will completely disappear for about 3 seconds. Like in the movie, "the Kick" is triggered by the sensation of falling. So when the infinity sign disappears, you must recreate the sensation of falling. This can be done by dropping your phone about a half a foot or higher onto a soft surface such as your blankets or a pillow. Some say the action of jumping or "leaping" and then landing on your feet will induce the same sensation for the iPhone but I haven't had luck with that. Remember after the horns stop and the infinity sign disappears, you only have about 3 seconds to execute the Kick before the infinity sign returns. If you miss the window of opportunity you must wait for another 5 minutes. If done correctly you'll be given a white screen as displayed to the right that says you've taken the Kick and to take a snapshot of reality (as displayed in figure 1). There is no time limit to take the picture. If you have associated the application with Twitter or Facebook you can take your photo and publish it to either social network. 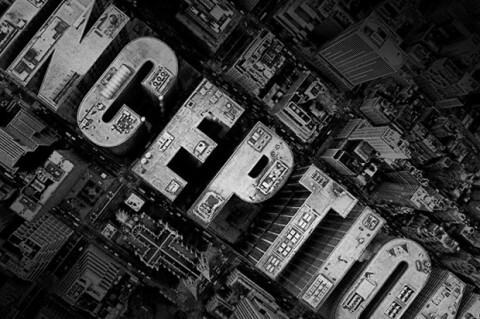 If you Tweet it and you follow the official Twitter account @inceptiontheapp, they may retweet your accomplishment. Lastly, as an additional feature, your dream inducing buttons (which are normally red) will turn to gold. If you got it work work, let's hear about it. Post a comment or a link to your Kick snapshot. Also, if you discovered a problem with these instructions or a better method, leave a comment and we'll amend the instructions..
How long do you get to take the pic btw? And which camera does it utilise on the iPhone 4? Front or rear? Yay! It worked... Thanks a lot! Yep it worked for me but I had to use my headphones. Got it. Took about 10 minutes to get it. I stared at my phone one 10 minutes. You have to drop your phone pretty hard to get this. A pillow/bed would not worked for me. Had to do it twice to get it to "kick"
Worked perfectly the first time. Ly you cannot jump with the phone you must drop it.